The term “drug delivery” generally refers to the administration of a certain chemical compound to a biological system for therapeutic purposes. Examples of conventional methods for drug delivery are oral administering, inhalation or injection through skin. 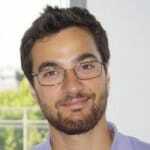 One of the main drawbacks of these methods is that the drug’s pathway, i.e. the physical distance between the inoculation site and the area of interest, is often too long making the treatment potentially ineffective. Microfluidics, i.e. 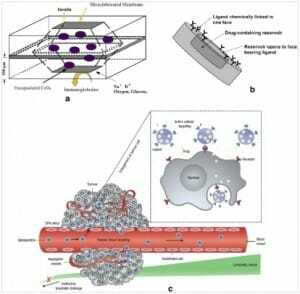 the science and engineering of fluid flows in microscale, can be the answer for a more effective and targeted drug administration. Indeed, one of microfluidics’ main application, the so-called lab-on-a-chip (LOC) can provide a platform for both drug synthesis and delivery. These two aspects are crucial and strictly related for a good release into the organism. Furthermore, the use of microfluidic devices for drug administration have other advantages, such as the reduction of both pain and risk of side effects. 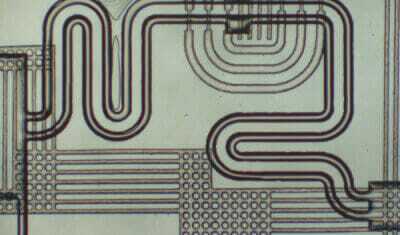 Finally, beside the aforementioned advantages, microfluidics brings further improvements in cost, user-friendliness, safety and portability. In this short review the contribution of microfluidics to drug delivery will be discussed, presenting some applications for administering at cellular, tissue and organ level. One of the main possibilities offered by microfluidics is the possibility to study the effects of a certain drug at cellular level in various physicochemical microenvironments. Indeed, microfluidic-based cell culture platform can mimic in vivo conditions as well as generate different environmental profiles. Moreover, microfluidics allows precise and controlled drug flow to the culture chamber, so that it is possible to monitor, for instance, the cells’ response to high-concentrations or to others biochemical stimuli. 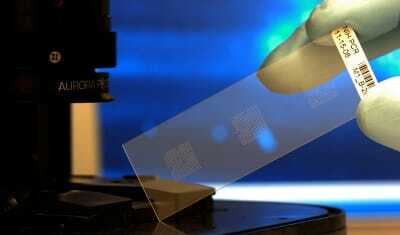 Therefore, microfluidic gradient generator (MGG) have been employed for testing drugs response on a cellular basis. These devices offer various advantages over conventional alternatives, such as Transwell and Dunn chambers: higher resolution, real-time observation, tunable drug concentration and reduced costs. Microfluidic gradient generators are mainly based upon two techniques: gradient achievement through time-evolving diffusion or parallel streams mixing. In the first category devices have in general two reservoirs where high and low concentrations of one or more reagents are stored. These chambers are connected by a bridge, which can have a built-in a valve, where cell culture generally takes place. In Figure 1 a sink-source flow-free gradient generator developed by Abhyankar et al. (2008) is presented. Key features of this device is the absence of convection flow which implies that no shear-stress is induced to cells. The second family of MGGs exploits parallel streams which flow continuously inside the microfluidic device in order to create stable concentration gradient suitable for long-term cell observations. In particular, a concentration gradient is achieved by controlling the diffusive mixing of the two streams at the interface of the flow. 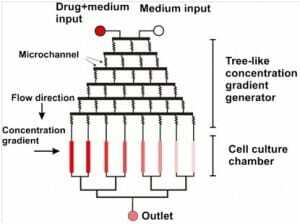 The most common type of such microfluidic devices are the tree-like gradient generators (TLGG), called this way for their brunches design which indeed recalls a tree; a schematic is presented in Figure 2. As TLGGs employ laminar flow to establish stable gradient concentration areas, convective-induced shear stress to the cell cannot be neglected. This can cause serious side-effects, such as anisotropy on cell migration, asymmetric mass transport to cells and flushing of cell-secreted factors, such as autocrine and paracrine. 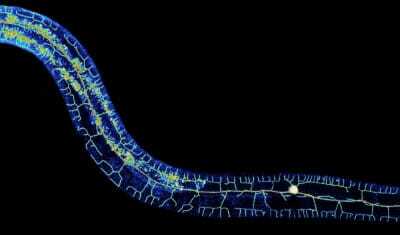 As a partial solution to these issues, 3d matrix and gel are often employed in order to minimize cell stress. Although both categories of gradient generators warrant a good performance in terms of cell-based drug screening, they have a common drawback: they only allow to deal with a single drug compound at a time. This may be a limitation as it is well-known that a balanced multi-component therapy may often be more effective. 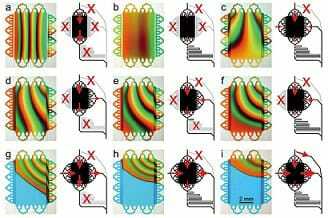 Thus, the future of these devices will go towards the so-called high-throughput combinatorial gradient generators, i.e. microfluidic concentration generators which are able to implement more chambers and microchannels in order to achieve combination and control over multiple drug compounds at a time. 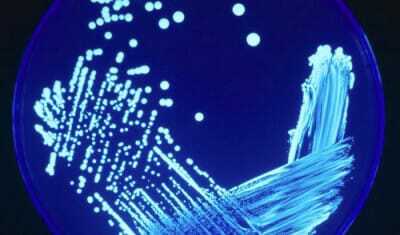 Microfluidics knows how can be exploited in the manufacturing of the so-called smart-particles. This term refers to micro/nano particles which are used as drug carriers for high-precision and localized drug delivery to unhealthy tissues. These smart particles can be classified in: biocapsules (Figure 3, a), microparticles (Figure 3, b) and nanoparticles (Figure 3, c). Biocapsules, as the name suggests, are used to encapsulate transplanded and/or microengineered tissue into a biodegradable and semi-permeable particle in order to avoid that these tissues would be rejected by the receiving organism’s immune system. Microparticles are used to improve the efficacy of oral and intra-venous drug administering methods. Indeed, they can be used as drug carriers encapsulating the therapeutic agent into biodegradable polymers for in vivo drug delivery application. 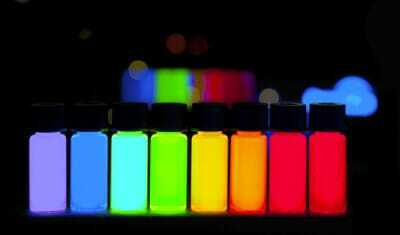 Nanoparticles, called this way for their size which range from 5 to 1000 nanometers, are used especially in neoplasia therapy. In this case, the abnormal permeability and retention proprieties typical of cancerous tissue are exploited so that the nanoparticles will bind to the malignant tissue, releasing the therapeutic agent upon it. In manufacturing these particles, biocompatibility and immunogenicity of the raw materials are crucial. 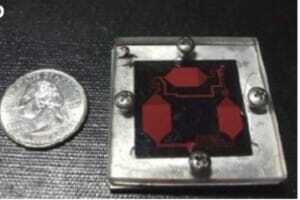 In this sense, the knowledge borrowed from microfabrication methods of microfluidics becomes really useful. Indeed, soft microfabrication methods based on biocompatible polymers such as PDMS and PMMA, which are common in microfluidics, can easily fulfill afore mentioned requirements for smart particles production. Moreover, these techniques, such as soft lithography, can also be combined with silicon technology for rapid and inexpensive prototyping. From a whole-organism point of view, the more efficient method for drug administration is still injection. Anyways, needles can be miniaturized (microneedles) in order to improve the delivery effectiveness and reduce the pain related to drug administering. Microneedles can be divided into four general types: (i) solid microneedles, (ii) microneedles coated with drug, (iii) polymeric microneedles that encapsulate drug and fully dissolve in the skin and (iv) hollow microneedles for drug infusion into skin. In the following section, a brief description of these four families of microneedles is presented. As for conventional needles, solid microneedles are sharp and used to puncture the skin, but given the much smaller dimension they are less painful. After the insertion, the needle can be removed and then a drug formulation can be applied on the punctured skin, either with a drug-loaded patch or a semi-solid formulation such as cream, gel or lotion. There are various materials which are suitable for solid microneedles manufacturing, the most notable are silicon, metal, polymer and ceramic. The three basic goals when selecting the appropriate material are mechanical strength through the choice of materials, geometry of the tip and reducing force when applying to the skin. This kind of microneedles rely on a different approach for drug delivering. Indeed, in hollow microneedles the drug is either infused or diffuses into the skin via the channels built-in the microneedle. Hollow microneedle can be generally present in a microfluidic device either singularly or in an array of needles. The advantage of having multiple hallow microneedles on a single device lies on the possibility of delivering liquid formulations to greater areas, allowing thereby a quicker intradermal delivery. The production of this kind of microneedle is possible thanks to microelectromechanical system (MEMS) production techniques, which allows good cost/performance compromises. Finally, conventional glass and polymer crafting techniques are also used to fabricate hallow microneedles of such materials. 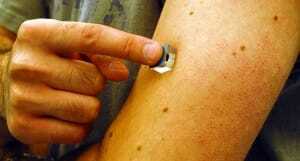 As the name suggests, these microneedles are first coated with the drug before administration of the latter. The coating is achieved using a water-soluble formulation of the drug. In such a way, after puncturing the skin with the coated microneedle, the drug is dissolved off into the skin and hence the microneedle can be removed. The most common ways to coat the needle are dipping and spraying using an aqueous solution, although a high viscosity solution would allow more drugs to retain on the microneedle. Coating by dipping can be performed in several ways; it is indeed possible to dip microneedles into microwells, a coating solution bath, a thin layer formed on a surface of a roller and so on. Finally, when coating a drug formulation on a microneedle one should make sure that the thickness of the resulting coating is uniform, thatcoating is water-soluble, that the mechanical strength of a dried coating layer is high enough to be inserted into the skin and lastly that the coating process does not affect in any way the drug. 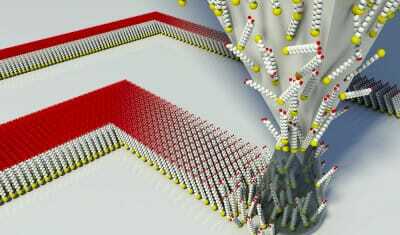 Dissolvable microneedles are made from polymers which are either soluble or biodegradable. The key feature of this family of microneedle is that, after insertion into the skin, they dissolve completely, releasing the therapeutic agent enclosed into them. The most common fabrication techniques rely on the use of micromolds or in-situ polymerization of liquid monometer. Drugs that are particularly indicated for this kind of delivering are compounds which are thermo-sensitive, such as proteins and antigens. These drugs can be encapsulated in dissolvable microneedles and should be solidified under specific conditions in order to be sure that they retain their activities. The time during which the needles remain in the skin is strongly related to the design and material of the device, indeed, microneedles made out of biodegradable polymers can be designed to stay in the skin from hours up to months if needed. 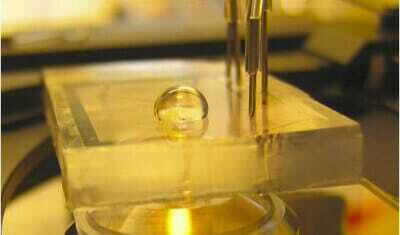 Another relevant application of microfluidics, which is growing on importance recently, is the so-called organ-on-a-chip. Basically, some researchers (e.g. Shung et al., 2009) have succeed to build microfluidic devices which are able to mimic entire biological systems, such as human organs and arteries. These devices replicate the in vivo organs’ microenvironments, providing thus a low-cost preclinical test platform for research. The technique that allows this is called compartmentalization, and multicompartment microfluidic-based devices can therefore be used to enhance the drug development process. The majority of the microfluidic systems employed in drug delivery are diffusion-based devices, which means that a self-contained reservoir provides continuous drug release over an extended period of time. Thus, the administration period can last from hours up to days, depending on the diffusion coefficient of the drug . Although it is possible to manipulate the dose initiation time by diffusion, delivery rates remain fixed to rather slow rates. However, for some applications, it is mandatory to be able to provide a rapid dosage delivery over time. Moreover, non-continuous or pulsed delivery patterns may be needed, for instance, to better mimic a physiological release profile such as that of insulin. 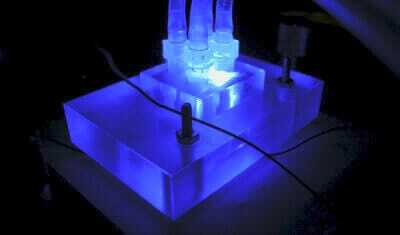 In such cases, microfluidic devices which exploit convective transport are used. 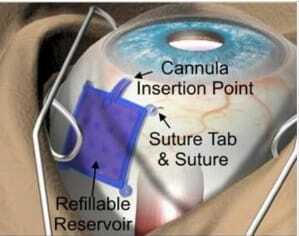 These devices are especially employed in special areas such as the brain or eyes (Figure 6) where they can be implanted for in-situ active delivery of drug. The actuation of these devices can be either manual, by applying a voltage or wirelessly with a magnetic field. Drug discovery and development are key topics nowadays, indeed, they represent one of the most expensive investment for every government in the world. In this challenge, the development of new delivery techniques is crucial as most drugs fail to achieve encouraging clinical results due to the fact that they do not reach the site of interest. As microfluidics is the science of manipulating extremely low quantities of fluids,its employment seems natural in drug administering. Indeed, microfluidics is characterized by some key features which are really helpful when dealing with drug delivery, such as improved mass transfer which reduces mixing time, high surface to volume ratio which improves heat exchange proprieties, precise control over flow, deterministic flow i.e. low Reynolds numbers and hence laminar flow, small reagent quantity, continuous regime, ease of production, costs, etc. In this short review, some applications of microfluidics in drugs administration have been presented. In particular, the analysis has been divided into three main topics: drug delivery at cellular, tissue and organism level. At cellular level, lab-on-a-chip devices provide a platform for both controlled drug administering and cell culture. This allows the possibility of studying the cells response to different drug concentration and under different biochemical stimuli. Moreover, LOC also makes possible to study effects of more than one drug at a time. Same results can be achieved in tissue and organ level as well, where in-vivo physiological conditions can be recreated on a chip leading to fast and low-cost drug screening. Indeed, microfluidic devices can be used to mimic entire organs to test drugs effects and can enhance traditional delivery methods such as injections. In particular, the usage of microneedles combined with an integrated system for fluids handling can allow less painful and yet more targeted deliveries. Moreover, the compactness of these devices made possible the realization of directly implantable drug delivery devices. Finally, microfluidics’ microfabrication techniques and knowhow can be indirectly exploited in the field of drug delivery, for example in the synthesis of smart particles, i.e. 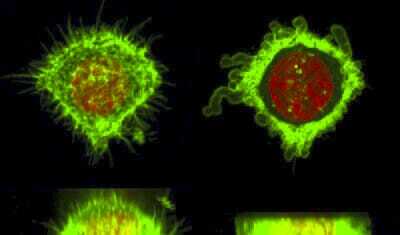 particles at micro- or nano-scale which encapsulate the drug for a more precise and targeted administration. Nguyen N.-T, Shaegh S. A. M., Kashaninejad N., Phan D.-T. Design, fabrication and characterization of drug delivery systems based on lab-on-a-chip technology. Advanced Drug Delivery Reviews (2013). Khan I.U., Serra C.A., Anton N., Vandamme T. Microfluidics: A focus on improved cancer targeted drug. Journal of Controlled Release (2013). Sung J.H., Shuler M.L. A micro cell culture analog with 3-D hydrogel culture of multiple cell lines to assess metabolism-dependent cytotoxicity of anti-cancer drugs. Lab Chip 9 (2009) 1385–1394. As well as articles cited in them.